Even though the Louisiana high school football season does not officially kick off today, football fans were able to see their favorite prep teams in action for two quarters in their version of pre-season football. 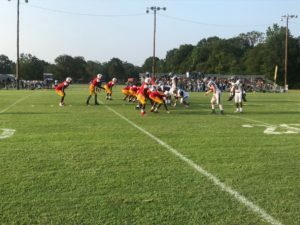 Yesterday, Ascension Christian High School hosted a jamboree with other 1A teams. Those teams were, in fact, the home squad Ascension Christian Lions, the East Iberville Tigers, the Church Academy Crusaders, the St. John Eagles, and the Houma Christian Warriors. Since there was an uneven number of teams in this jamboree, the teams rotated with other teams until each team got to play two quarters. Below is a quick recap of how each team fared in their games, what they were able to, and where they need improvement. Coach Ron LeJeune did one of the best coaching jobs in the entire state in 2017. In his first tenure at East Iberville, Coach LeJeune was able to lead the Tigers to a playoff appearance back in 1999. He was able to do that once again last season leading the Tigers to a 6-6 record and even a playoff victory against Delhi. That was an incredible feat considering that the Tigers only won one game the last three years combined. Now, for Coach LeJeune, it is about maintaining that success and building the program moving forward in order to compete in those games. East Iberville and their jamboree opponent Church Academy were the only teams to play each other for two whole quarters. The game itself was what you expect for a jamboree game to be and that was sloppy. East Iberville had a sloppy jamboree showing and Coach LeJeune even admitted that it was so, but however, they were able to win the game. Offensively, the Tigers could not really get any push from the offensive line and get positive yards on the ground. Also, senior quarterback Mike Triplett did throw a couple of interceptions in the game. Even though the offense did not have their best showing, it was the defense and special teams that really stepped up. The East Iberville defense got to the quarterback on multiple occasions and have set up their offense in good field position. 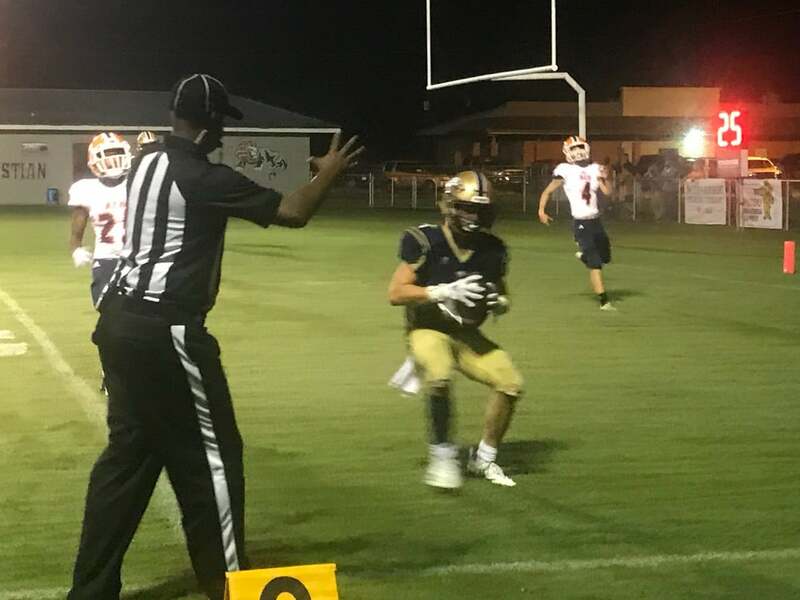 The only score of the outing for both teams was a punt return touchdown from East Iberville sophomore Jatory Hardesty, who took advantage of a botched punt as well as a good bounce and took it 55 yards for the touchdown. The defense was able to shut out the Crusaders’ offense and held on to a 7-0 win. The Tigers also should have won by more as there was a kickoff return for a touchdown by sophomore Skyler Jones, but was brought back by an unnecessary block in the back penalty. 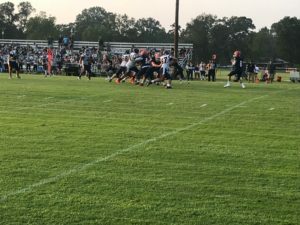 It may have been a sloppy game with turnovers and penalties, but the Tigers were able to do something this year that they were not able to do last year and that was win their jamboree game. Former LSU quarterback and Southern Lab Head Coach Marcus Randall made his Crusader coaching debut yesterday in their jamboree game against East Iberville. Like the Tigers, the Crusaders were able to frustrate the opponent’s offense all game. 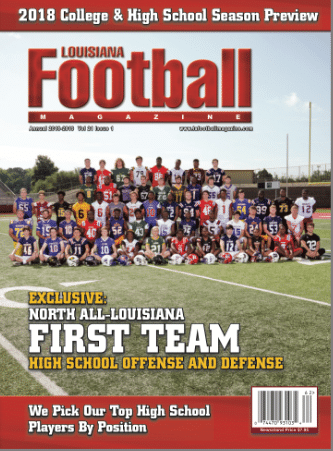 The front seven, which consists of senior defensive lineman Kelvin Smith and junior linebacker Caleb Kibodi, who is the younger brother of former Christian Life and current Texas A&M running back Jacob Kibodi, disrupted the bread and butter for the East Iberville Tiger offense, which is its running game. 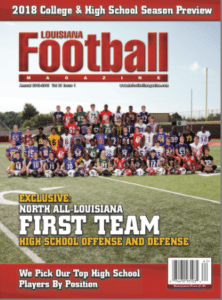 They also were able to intercept three East Iberville passes, but the offense was unable to take advantage. The offense had some penalties that pushed drives back and there were a lot of times that the quarterback center exchange was not clean as well. Those were factors that really put the Crusader offensive attack out of rhythm. Church Academy showed that their defense is talented enough to play well in games. Their offense has some talented skill players like Kibodi, who also saw time at quarterback. If they can fix some of the mistakes offensively, the Crusaders could be a team to watch out for this season. If there was a real winner from this jamboree action, it would be the St. John Eagles. The Eagles were winless the last two seasons and first year St. John Head Coach Eric Holden looks to make a change to that. Coach Holden came over from Berwick High School where he led the Panthers to their best season in arguably program history going 8-4 and losing to eventual 3A state champion West Feliciana in the third round of the playoffs. Not only was the coach on the sidelines new for the Eagles, but the offense was as well. As over the last couple of years, we grew accustomed to seeing the Eagles run the option, but now, the Eagles run a spread offense and threw the ball majority of the time. Not only the offense was different, but it showed an absolute 100 degree flip from the offense the team ran the year before. However, it sure worked. In their first outing against Houma Christian, the Eagles moved right, left, down, and everything in between up the field. The offense put up an impressive 34 points in only a quarter. St. John senior QB Adam Blanchard made smart, quick decisions, and was very accurate with the football completing just about every pass he attempted. He also spread the football around to a lot of different weapons whether it was senior WR Justin Rivet, senior WR Adam Theriot, senior WR Peter Anderson or even sophomore RB Cobie Lockett and sophomore RB Christopher Holmes in the running game, the distribution was balanced between all of these guys. All five players can show they can make plays with the ball in their hands. The defense was also aggressive and took advantage of some fumbles from Houma Christian. It was a dominant performance for the Eagles winning 34-0. Then, they faced Ascension Christian. 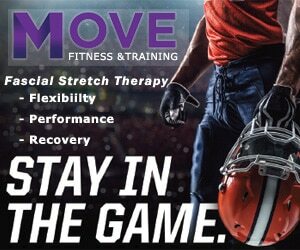 The Eagles first faced a little adversity by giving up a touchdown run up the middle, but Blanchard and Rivet answered right back with a 35 touchdown to tie the game at six. After that, the Eagles score two more times with one coming from a Lockett touchdown run and the other coming from a touchdown pass from Blanchard to Theriot. The Eagles won both of their outings and defeated the Lions 20-6. The Eagles have to be very confident after what they accomplished in their outings yesterday. The offense can be very explosive this year, but the team needs to stay healthy as there is not a lot of depth on the team this year. If the team can stay healthy, they could be in for a much improved season. 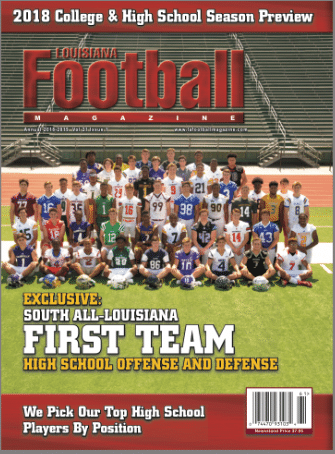 The Houma Christian Warriors, led by Head Coach Charles Battaglia, are looking to improve on an impressive 7-4 season a year ago. In their first outing against Ascension Christian, they gave up a long touchdown drive as well as the two point conversion to be down 8-0. However, the offense responded right back. QB Brandt Roger marched the team down the field and tied the game at eight. The Warriors had some good moments in their outing against Ascension Christian. The player that really stood out for the Warriors was senior RB/LB Zachariah Trujillo, who was making plays from sideline to sideline. He was a tackling machine and made some big hits that disrupted the Lion offensive attack. Still, the Lions were able to score late in the first quarter to put them up 14-8. Despite a big play from Houma Christian on the last play, it still was not enough as they lost 14-8. Then, it got ugly for the Warriors against the St. John Eagles. The Eagles were able to take Trujullo out of the game by throwing quick decisive passes and not really giving him a chance to get to the quarterback. Offensively, the Warriors made some mistakes and turned the ball over on a couple of occasions. The score was not pretty as the Warriors lost 34-0. Even though the Warriors lost both of their outings, there is still some talent with guys like Roger and especially Trujillo that they can fix some mistakes and rebound from there. The home team Ascension Christian Lions, led by Head Coach Josh Puryear, had a big season in 2017 winning seven games, but despite winning seven games, the Lions failed to make the playoffs last season. The Lions want to prove that they deserve to be a part of the playoff tournament this season. In their first game against Houma Christian, the passing game was on point especially the connection between QB Zach Diez and WR Tyler Cambre. On their first drive, they looked as crisp as ever as the Lions marched on a 14 play drive which resulted in a touchdown pass from Diez to WR Derrick Varnado. The two point conversion was also good and the Lions led 8-0. The defense did however give up a touchdown drive on their own as well as a two point conversion to tie the game at eight a piece. Still, the Lions scored another touchdown late with a touchdown pass from Diez to Cambre. The passing game has always been a strong suit for the Lions and it still was the case here. The Lions did not win their second outing against a team coming off with a lot of confidence in St. John, but however, they were able to make it a close game and actually took the lead with a Brady Gueho 64 yard touchdown run to put the Lions in front 6-0. Still, the Lions had some mistakes including blowing a coverage and turning the football over. If it was not for the mistakes, it could have been a closer game. Still, the score was 20-6. There was a lot to be happy about for the Lions and after watching the film from those two games, they can move forward with an idea of what the team would need to work on.